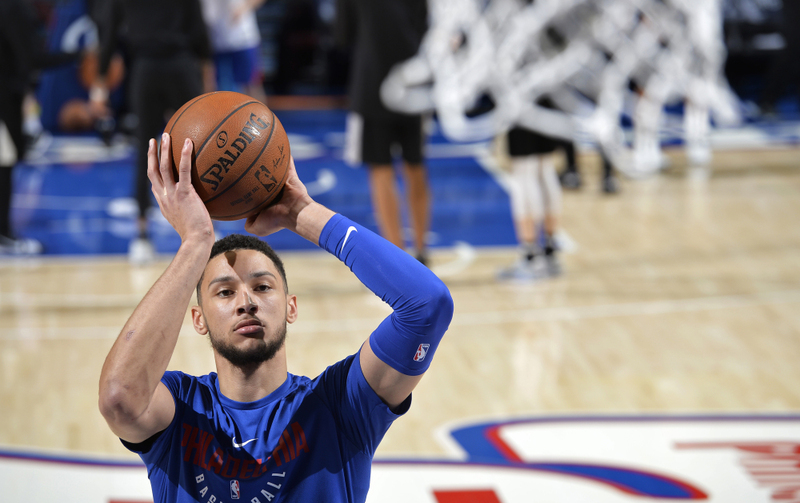 We all know Ben Simmons is a budding superstar with the one knock on him being his lack of a jump shot. Is he working on it? Yes. Does it look fluid and natural? Hell no! Even Magic’s jump hook had a little “show” to it. All kidding aside, a higher FT percentage and signature shot is all that is separating this kid from challenging his teammate in Joel Embiid for being one of the most deadliest players in the NBA. I know some may disagree and say he has already passed that threshold, but looking at how teams guard the Sixers down the stretch shows he needs that shot to command some respect. Lucky for Simmons, he has numerous people to help his development including NBA Hall of Famer, Tracy McGrady. T-Mac averaged more than 20 points for eight straight seasons, was chosen for seven All-NBA teams, made seven All-Star appearances, and notched back-to-back scoring titles in 2003 and 2004. It was that scoring ability that lifted him to the next level. No matter the argument, T-Mac was one helluva player. We cannot knock Ben for not trying as he is constantly shooting the ball in practice and starting to unveil some moves during the game. However, like my man Mike Diaz likes to say, “Give it time.” It’s just a phrase I am not accustomed to. I am an on-demand personality and trying to be patient. While my transformation is being pieced together, I have to ask: Do you think T-Mac could help Ben Simmons? As always you can stop by my Facebook page (FantasySportsAddiction) or tweet me (@TCutillo23) for questions or some nice fantasy debates. E-mail me at tonycutillo@yahoo.com. You can listen to The Heat Ratio (@TheHeatRatio) podcast every Wednesday at 12 P.M. on Wildfire Radio, and subscribe on Apple Podcasts here. We should expect him to get better while he’s on his rookie contract, but his deficiencies will not be fixed between Year 1 and Year 2, because that’s not what happens with any player, regardless of natural ability. His floor right now is “Perennial All Star” in Year 2. I’d expect somewhere in his 2nd contract is when he’ll peak and that’s what you can probably expect him to be at his best. Heat Ratio: Are you watching Super Bowl 53?